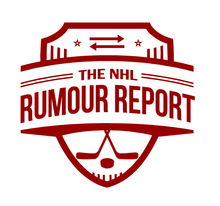 Last week, they were interested in James van Riemsdyk, Jarome Iginla and Gabriel Landeskog. 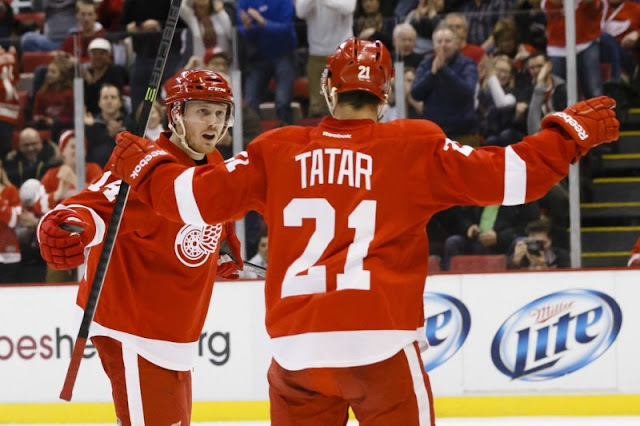 This week, it's Gustav Nyquist and Tomas Tatar of the Detroit Red Wings. The 'Hawks organization sure is leaking plenty of rumours this time of year. That doesn't necessarily mean they're close to a deal, but it does mean they've got someone in the organization who's letting information get out rather easily. No complaints here! Although Nyquist, 27, and Tatar, 26, are key pieces of the current Red Wings roster, they might be exiting their "prime" by the time the team is a contender again. Both have had ups and downs this season, with Tatar expecting a decent payday as a pending RFA. The Wings seem like a team headed for a rebuild unless things turn around fast, so they will likely be a team to watch as we approach the deadline. Thomas Vanek, Brendan Smith, and several others, are considered potential trade chips for Detroit to kickstart their roster transition. The Blackhawks don't exactly have a ton of cap space to play with as is, so the constant rumours of them inquiring on big salary forwards is interesting to say the least. Could they be planning a bigger deal that involves salary in and salary out?